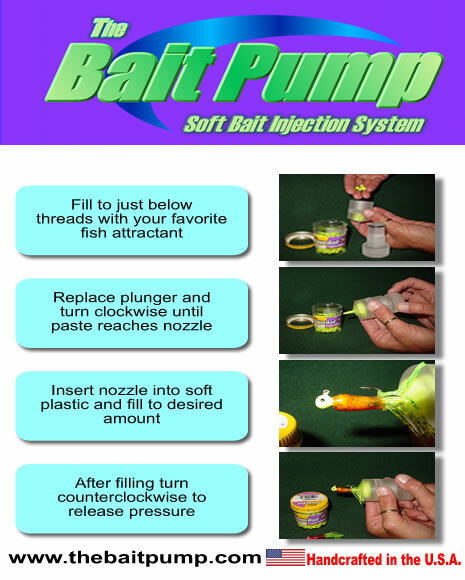 attractant into soft tube baits or any other soft bait. This gives the bait a more realistic scent, flavor and texture. and just about any other chopped bait.